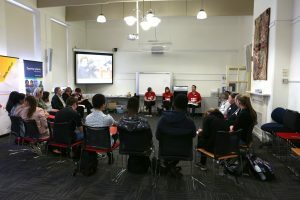 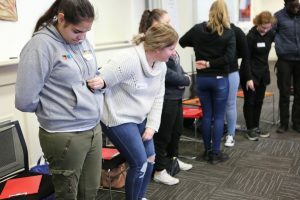 Earlier this month sixteen young people from the Australian Institute of Social Relations’ Northern Schools Traineeship program had the unique opportunity to take part in ProjectABLE, a half-day interactive workshop delivered by people with disability. 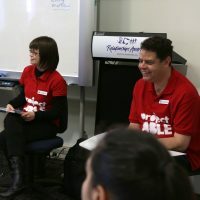 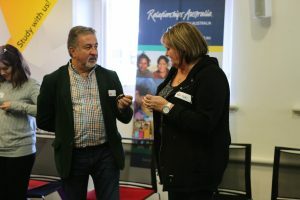 ProjectABLE is a national training organisation that is responding to the increasing demands of skilled workers in the disability and care sector. 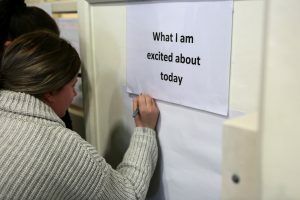 It’s expected that 70,000 new jobs will be created in these sectors by 2019 as a result of the full roll out of the National Disability Insurance Scheme. 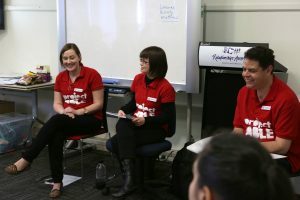 Workshop presenters Leanne, Felicity and Matthew talked with the students about their experience with disability, the importance of social inclusion and what they could do to make a difference. 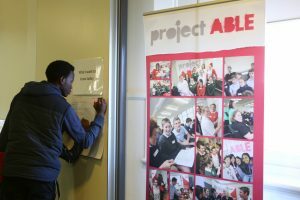 The workshop also supported students to appreciate the diversity of roles in the disability sector and consider possible careers. 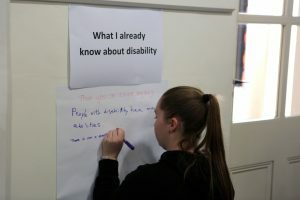 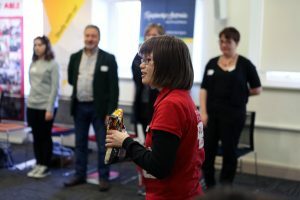 Through interactive exercises and activities, the students learned about some of the everyday limitations experienced by people living with a disability. 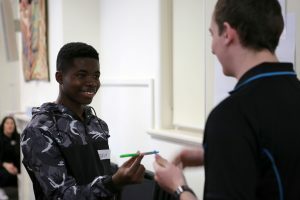 One activity challenged students to open a Mars Bar without using their hands, forcing the students to attempt other options or ask for help.